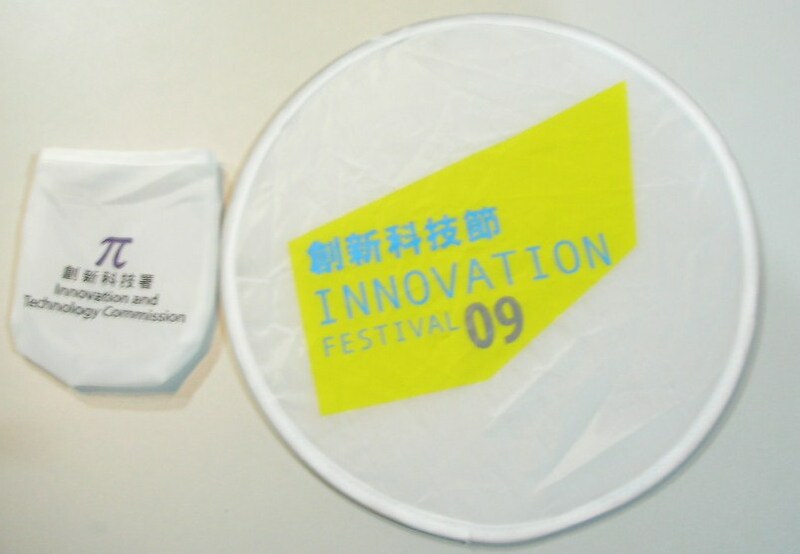 At the latest Innovation festival in Hong Kong a foldable Frisbee was given away by the Innovation and Technology Commission as a promotional product. This item can be folded down to a size that fits into a pocket sized pouch attached along with it. Made of nylon, this Frisbee automatically flings open revealing the brand that is printed on- Bringing attention to the message that is printed on. 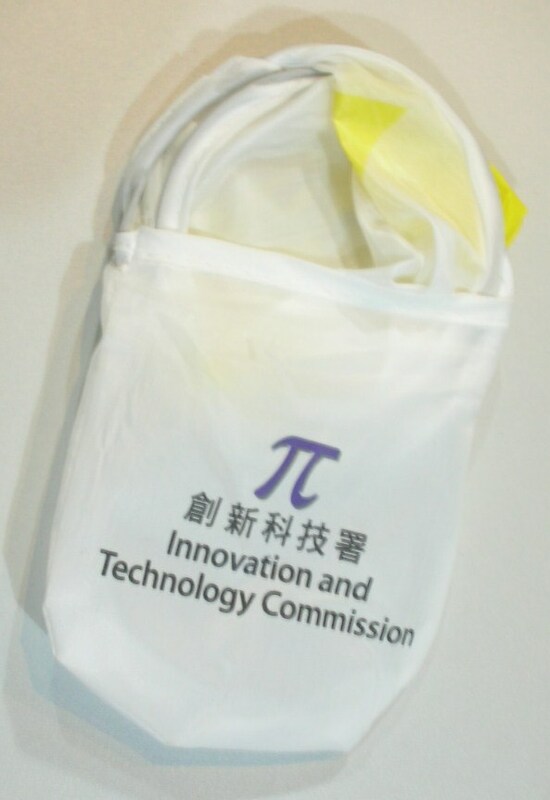 Measuring at 25cm (Diameter) when opened, 9cm when folded, this bendable and collapsible merchandise is an ideal gift that keeps your message active. It can also be customised into a range of colours of your choice. This is easy to make, easy for printing and compact (cheap) for shipping. This kind of expanding promo (just like inflatable mascots) is great for sports events.